The Fourth Shenzhen Independent Animation Biennale will open at OCT-LOFT this Saturday afternoon with a string of free lectures, seminars and screenings to be held around the city. With the theme of “Expanded Animation,” the biennale is produced by Li Zhenhua and He Jinfang. Curators are Cao Kai, Tang Yong, Yang Jing, Xue Feng, Suh Jin-suk, Holly Roussell and Daniel Franke. The biennale has six units: “Video Collage — Found Footage — Shared Moving Image,” “Throw Your Shadows,” “Sculpture Animation: Image, Media and Realistic Landscape,” “Code to Material,” “Video Game: Cohabitant” and screenings. 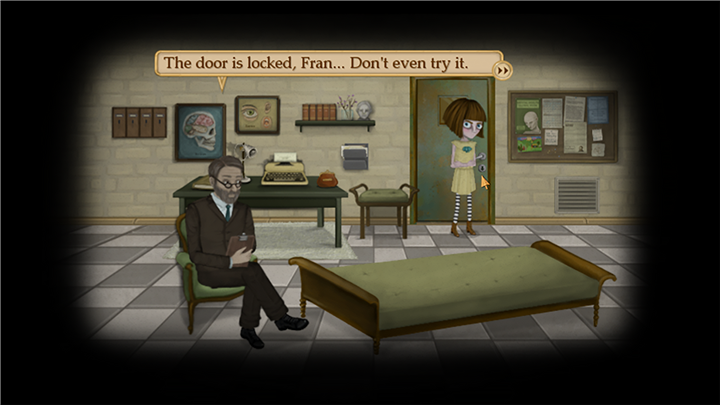 A still from “Fran Bow” created by Natalia Figueroa and Isak Martinsson. This year, videos made by artist Nam June Paik (1932-2006) will be shown. As a pioneer of video art, the artwork and ideas of Paik were a major influence on late 20th-century art and continue to inspire a new generation of artists. The organizers, curators and artists will give a tour titled “Intergrowth Unit of Game” at Extra Time • Extrart Base, the subvenue of the animation biennale. Hosted by Li Zhenhua, the seminar will joined by Siegfried Zielinski, Cao Kai, Xue Feng, Daniel Franke, Tang Yong, Suh Jin-suk, Holly Russell, Yang Jing and Cao Yidi, as well as other experts. Two topics will be discussed. Hosted by Cao Kai, “From Kluge to Debord — Multi-channel Creating Method With Image and Text” will be joined by Cong Feng, Mao Chenyu, Lin Xin, Man Chingying Phoebe and Bianca Lei Sio Chong. “The Border and Expansion of Experimental Animation” will be hosted by Xue Feng and joined by Lu Shan, Deng Qiang, Yu Chunna, Zhong Yuanbo, Ye Youtian, Deng Bochao, Chen Qiang, Guo Yu, Yang Bo and Wang Yifei. Hosted by Feng Feng, the seminar will be joined by Siegfried Zielinski, Miao Xiaochun and Li Zhenhua.